Here’s David from Joes sharing some top tips on what your boyfriend really wants for Christmas when it comes to gadgets. When it comes to buying your Joe some tech for Christmas, chances are the first thing that will come to mind is a brand new set of awesome speakers. While you’re definitely on the right lines, you don’t want to be skimping on quality. 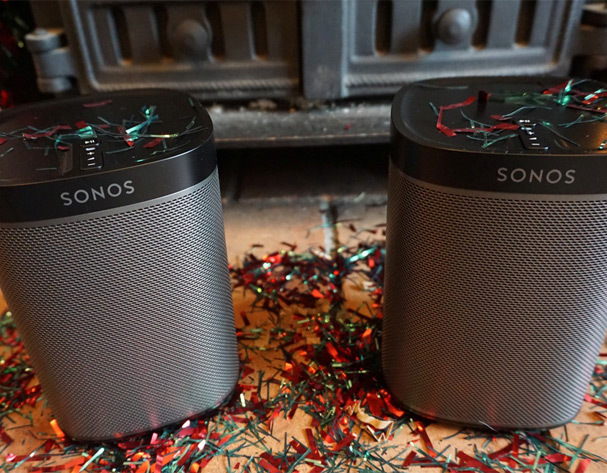 Which is why we recommend getting him something like these Sonos Play 1 wireless speakers. We have a long and lasting love for everything Sonos thanks to their high-end sound, practicality and beautiful aesthetics. The Play 1 packs all of these qualities in abundance! The compact Play 1 will stream all your music in any room for wall-to-wall sound with an easy setup and features which can all be controlled through your smartphone. In each Play 1 speaker you will find two expertly-tuned Class D amplifiers, a 3.5-inch mid-woofer and a single tweeter. Combined, these create exceptionally accurate playback, no matter what genre of music your Joe is into. Sonos are also notoriously brilliant for a multiroom experience if you’ve got/want more than one! The Sonos Play 1 comes in at around £169 depending on where you shop. Or you can buy the twin pack (as pictures above) for around £299. Check out more details on the Sonos website. 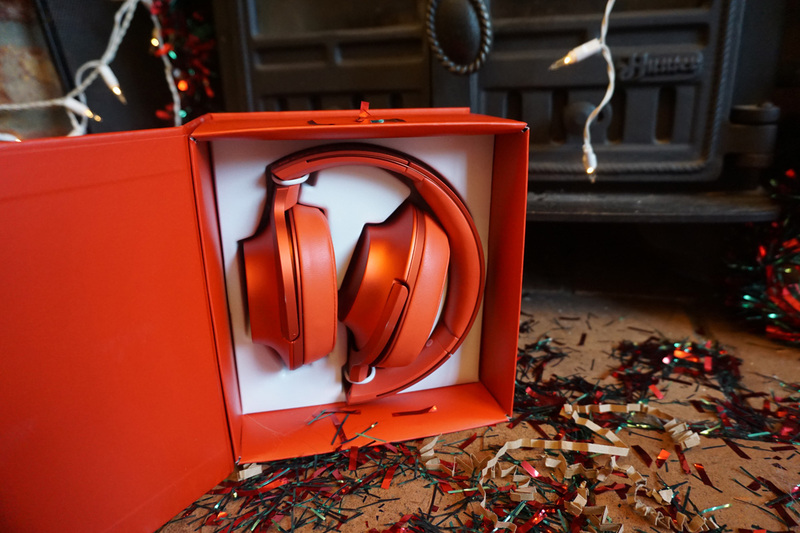 Headphones will also probably be on your mind when thinking of presents. As with speakers, getting a decent pair of headphones with some accurate playback is essential. Sony are always a great bet and we love these Sony h.ear on MDR-100AAPR Headphones, which will add some style to his look as well as sounding fresh. They are available with a range of colours, from these burnt orange and all the way through to a lime green. The great thing about these MDR-100AAPR headphones is they support the new fad of high-resolution audio. It’s essentially like watching a Blu-Ray rather than a DVD, which means you’ll hear every note and word, no matter how subtle. They also feature twin titanium-coated drivers with deep bass and crisp high frequencies which bring out those subtle details from your beats. Plus they’re foldable, so can be collapsed in seconds to put in a bag. There’s also a carry pouch included to protect the headphones. Other colours are available for around £150 from various retailers such as Currys, John Lewis and Argos. Check out more specs at the Sony website. If your Joe is a geek (as we all are here at Average Joes!) and loves his cooking – it would seem appropriate that you get him the Cooking for Geeks cookbook by Jeff Potter. 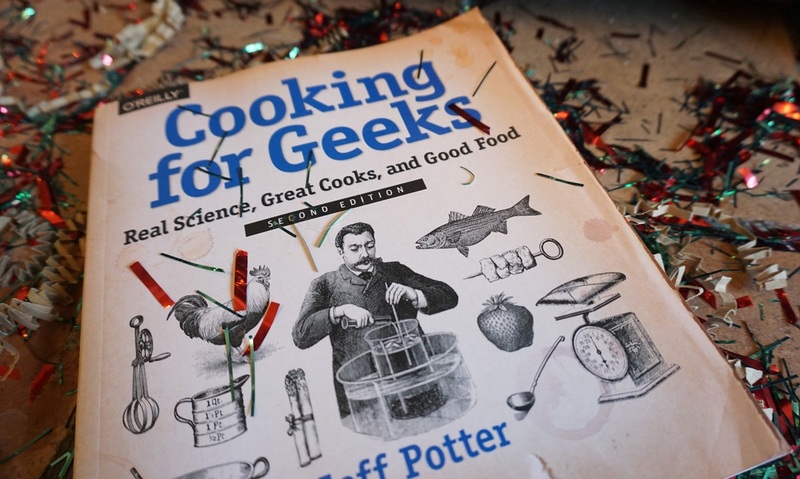 There’s also, of course, plenty of recipes using some geeky techniques with everything from starters to desserts. Who knows, he could be the next Heston! At least you’ll get plenty of meals out of it! The book can be found from various websites at around £18 including Amazon. Yes, it’s Christmas but December is really all about Star Wars. So do yourself a favour and get your Joe the single greatest toy we have probably ever seen with the Sphero BB8 interactive toy. First thing you’ll notice about the tennis ball-sized Sphero BB-8 is that it moves in exactly the same way as the droid seen in Star Wars: The Force Awakens trailer. That means its ‘head’ rotates on a ball that enables the BB-8 to have 360-degree turning angles while moving at around 5mph. 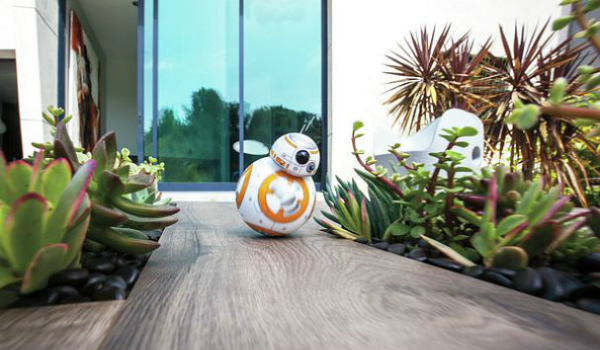 BB-8 will roam about autonomously patrolling your home ensuring everything/everyone is safe from the Imperial Army. As it patrols, it makes a mental map of the route and notes the dangers it comes across, like a chair leg, and avoids it next time it goes roaming. The most amazing thing about the BB-8 is its personality and actions evolve as it spends more time with you. The Sphero BB-8 toy comes with a contactless power dock for recharging and costs a pretty heavy £129.99 from various stockists including Apple, Disney, Harrods, Amazon and PC World. Not cheap but it’s the greatest gift he’ll get this year – we promise! We all struggle to get up in the morning. But if your Joe is anything like us, a strong coffee first thing is one of the few things that can really help. A standard coffee machine is cool but you know what’s cooler? This Smarter Coffee machine, which remotely brews coffee from anywhere in the home. Through the Smarter mobile app, Joes can adjust the strength of their coffee as well as select how many cups they’d like to brew (anything from 1 to 12) – so really it’s a present for you too! Best of all, the Welcome Home and Wake Up modes allow you to brew a coffee at any time that suits you. 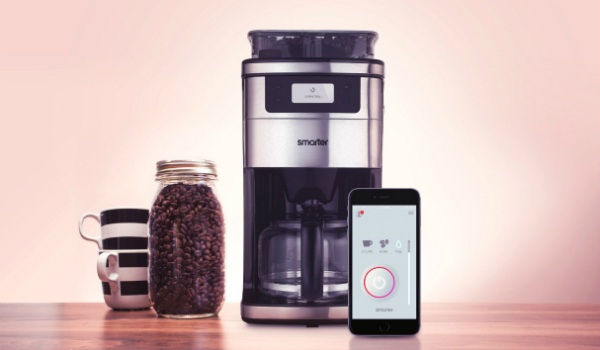 The Smarter App is compatible with any iOS and Android smartphone so you can now set alarm to the same time your coffee machine will automatically start brewing. Perfect for harsh winter mornings! The Smarter Coffee machine is available for £179.99 from Amazon.